We definitely deserve some accolades! Do you know where Ankpa is in Nigeria? Yea right… It’s in Kogi state. In a remote area lies this quiet and lovely place to study. College of Education, Ankpa in Kogi. 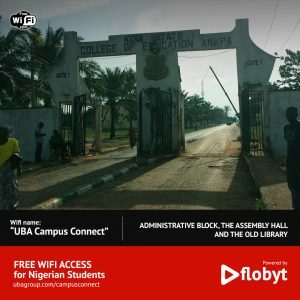 The school administration were eager to connect their students to the rest of the world using our “UBA Campus Connect”. Connecting this institution to our network has been one of our recent highlights. 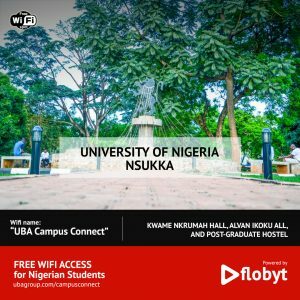 We also connected Bayero University, Kano and University of Nigeria, Nsukka in the month of April 2018. At Flobyt, we take education seriously.